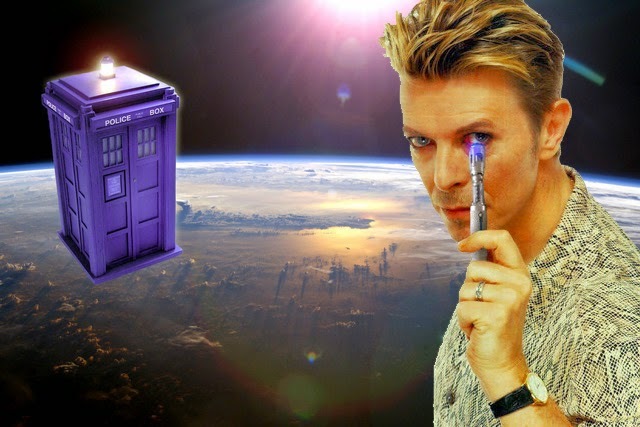 DOCTOR WHO - What If DAVID BOWIE Was The Doctor? | Warped Factor - Words in the Key of Geek. 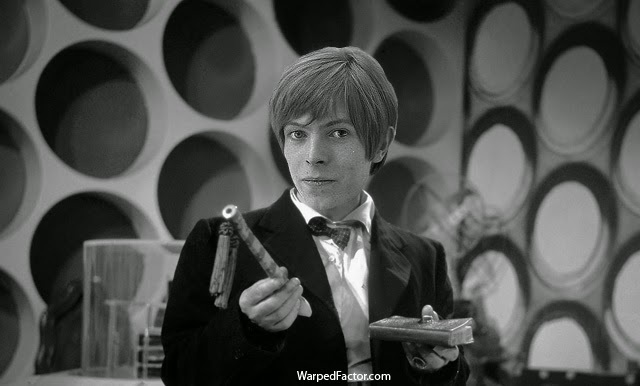 DOCTOR WHO - What If DAVID BOWIE Was The Doctor? 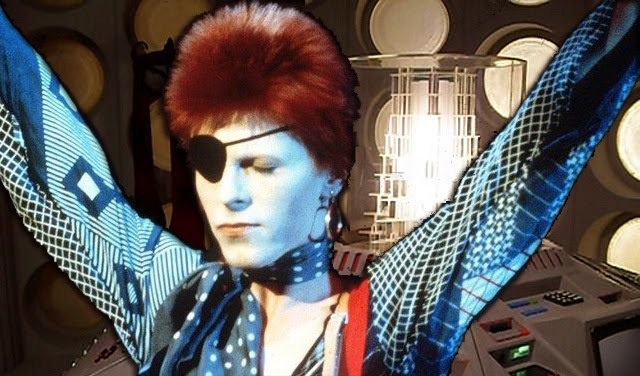 Unfortunately the filming dates clashed with those of his Serious Moonlight tour, but as the only man with as many, if not more, incarnations as the Doctor, David Bowie might well have been the ideal fit for the TARDIS! 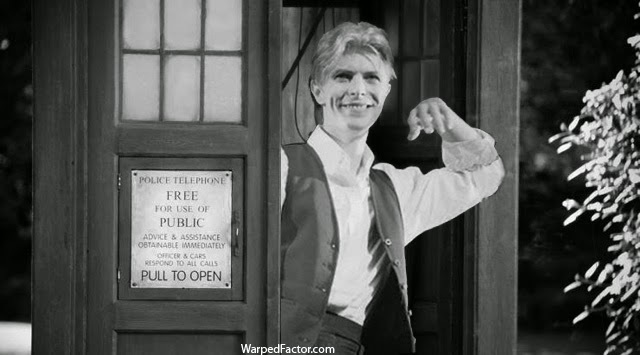 So, ''Lets Dance'' around the console of the iconic police box as we run with the idea of David as the Doctor! Having started out dabbling in psychedelic folk very much influenced by Anthony Newley & Lindsay Kemp in the early to late Sixties - a period which it's tempting to call his "Patrick Troughton" years for these purposes - perhaps he might've found a recorder of his very own on which to play a little "hazy cosmic jive"? Moving into the Seventies he embarked on his first regeneration & change of style. Glam rock a go-go! Which means there's now a true starman in charge of the old police box "waiting in the sky, he’d like to come and meet us but he thinks he'd blow our minds". If there's a better summing up of Doctor Who itself, as well as the Doctor's relationship with the population of the Earth he so loves, we've yet to hear it! Would Jon Pertwee have been so brave as to don such make-up? He did at least have some sense of style. Much like Ziggy Stardust! Come 1974 it was time for both David & the Doctor to change once more. 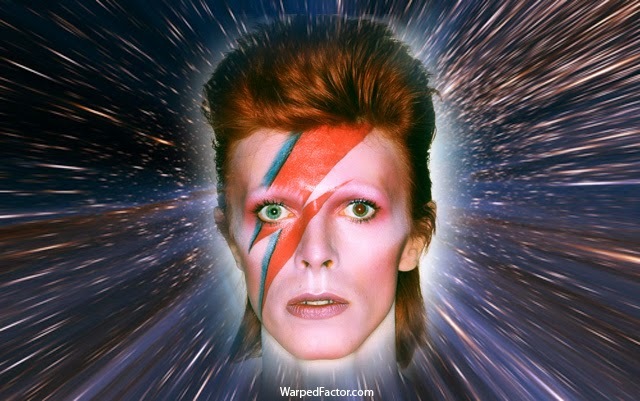 The man who fell to Earth that year changed from an action hero & dandy into a more eccentric, alien proposition. Meanwhile in the world of music Bowie was undergoing a change of his own, into Halloween Jack for Diamond Dogs. The world in which he found himself was as alien as any the Time Lord had set foot upon. 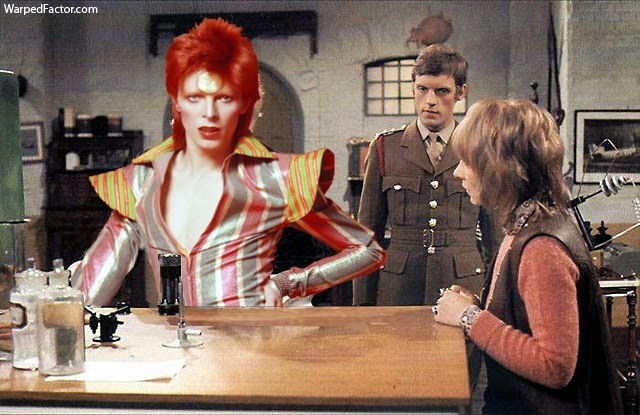 Perhaps this Third Bowie would have had the best post-regenerative introduction, too. "This ain't rock and roll! This is genocide!". 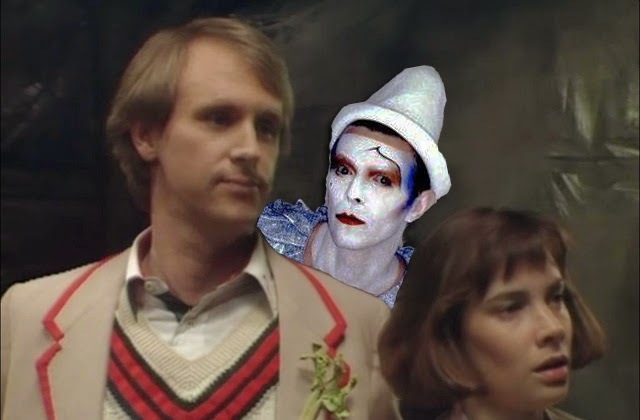 But his time in the sort of 1984-ish dystopia Bowie had in mind, as experienced by the Sixth Doctor in Vengeance On Varos, Seventh in Paradise Towers & Ninth aboard the Game Station in Bad Wolf would come to an end. So cometh the Fourth Bowie, the "Thin White Duke"! The Fifth would adopt a tougher look more in in line with the Ninth Doctor's leather jacket & jeans. 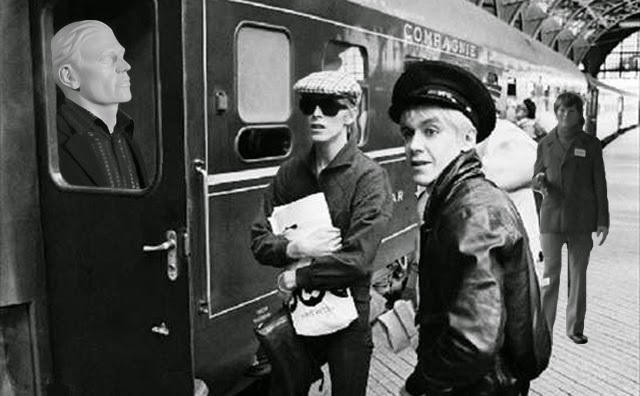 Just as the Northerner got Rose, Bowie picked up a companion en route to Berlin- one Iggy Pop. They'd soon encounter some Autons of sorts in the form of Kraftwerk! "Nobody quite knows who came up with the initial idea of the Doctor changing bodies, but on the 29th October 1966 viewers were treated to the somewhat disturbing spectacle of the Doctor keeling over onto the TARDIS floor to be replaced by an entirely new man . The concept of regeneration essentially meant that the show could run and run, with a change of actor often bringing a new lease of life to the Time Lord’s travels. Not only that, it also brought a sense of continuity unique to the show – no matter what he looked like or who he travelled with, it was always the same man piloting the TARDIS. It wasn’t until 1974 and the transition from Jon Pertwee to Tom Baker that the process was actually named as a ‘regeneration,’ and since then there’s been an awful lot of info bandied about concerning this mysterious change." Might've sounded familiar if you read the NME at the time, too!